To commemorate Earth Month, employees and volunteers from Keolis Commuter Services will help beautify, improve and clean up neighborhoods around MBTA's commuter rail stations. 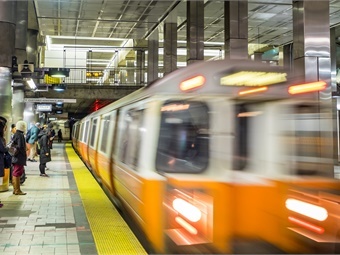 To commemorate Earth Month, employees and volunteers from Keolis Commuter Services (Keolis) will dedicate time and resources during April to help beautify, improve and clean up neighborhoods around Massachusetts Bay Transportation Authority's commuter rail stations. Earth Month is a global commemoration promoting environmental awareness and advancement, and throughout the month, Keolis volunteers will organize and participate in clean ups and other activities in Boston, Brockton, Framingham and Lynn. In addition to the benefit of a cleaner neighborhood and a reduced environmental impact, helping to keep railroad tracks clear of litter and debris helps to reduce the risk of fires, environmental contamination through run-off and damage to trains. During April, Keolis teams will be picking up litter along the right of way and beautifying landscape areas at and around Boston’s Four Corners/Geneva Station, Brockton’s Campello Station and Lynn Station. At Four Corners/Geneva Station. Keolis teams will also host a free gardening workshop for residents who live in the surrounding neighborhood. In addition to the benefit of a cleaner neighborhood and a reduced environmental impact, helping to keep railroad tracks clear of litter and debris helps to reduce the risk of fires, environmental contamination through run-off and damage to trains. “While our Keolis teams work diligently to implement and maintain sustainable processes every day, Earth Month allows us the opportunity to recognize these achievements and share them with the general community,” said David Scorey, Keolis General Manager and CEO. In addition to these cleanup and community activities, on Saturday, April 27, employee volunteers will participate in the Framingham Earth Month festival with giveaways and to demonstrate the environmental benefits of public transportation as a climate-friendly choice when compared to driving a single occupancy vehicle. According to APTA, the average motorist contributes 10,000 pounds of carbon emissions per year. Since assuming operations of commuter rail in July 2014, Keolis teams have volunteered thousands of hours focused on community cleanup and related activities.